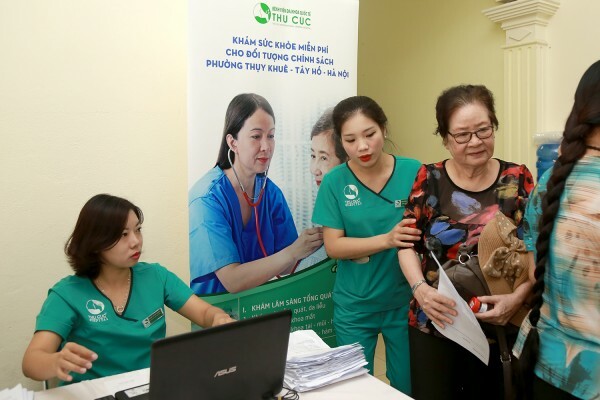 June 27th 2017, in the morning, Thu Cuc International General Hospital in collaboration with Medical Center of Tay Ho District provided free health check-ups to people under preferential treatment policy including war invalids and family members of martyrs at Thuy Khue Ward, Tay Ho District. 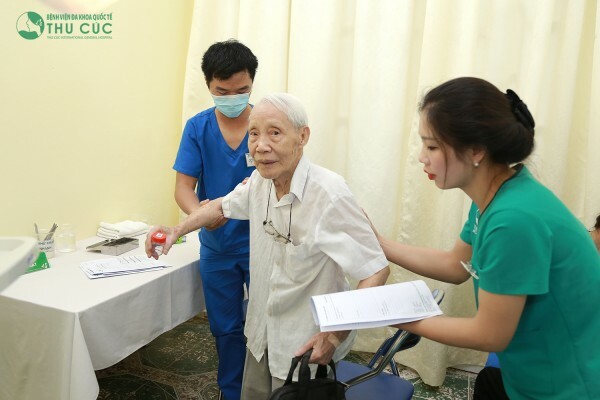 This is one of the annual activities organized by Thu Cuc Hospital within Tay Ho District. 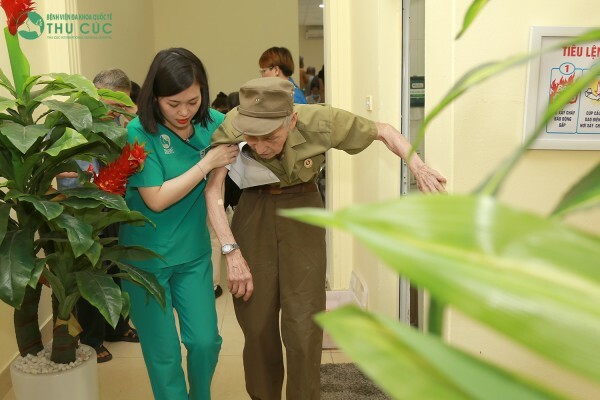 The Hospital always attaches importance to health care for the revolution contributors. 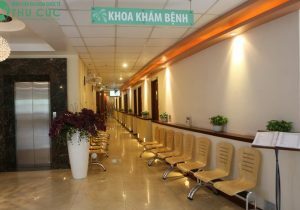 Participants who are people under preferential treatment policy will be provided with a comprehensive health check up based on a full health check up list including blood test, urinalysis, abdominal ultrasound, chest X-ray, ECG, ENT exam , eye exam, dental exam, skin exam, physical exam which monitors their height, weight, blood pressure and the general exam. 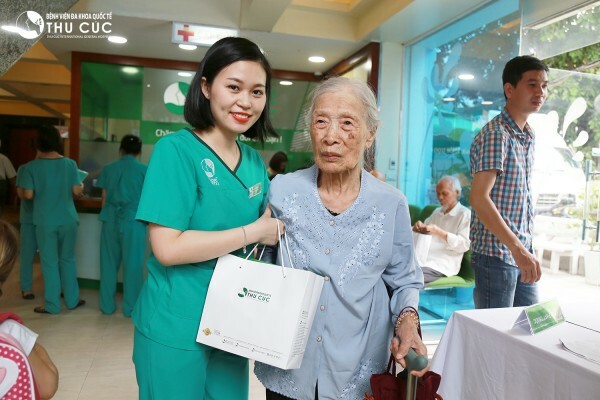 Mrs. Hong took her mother in law, who is the daughter of a martyr, to the hospital, happily shares: “I think this is a meaningful activity which is not only good for their health but also for their mind and spirit. 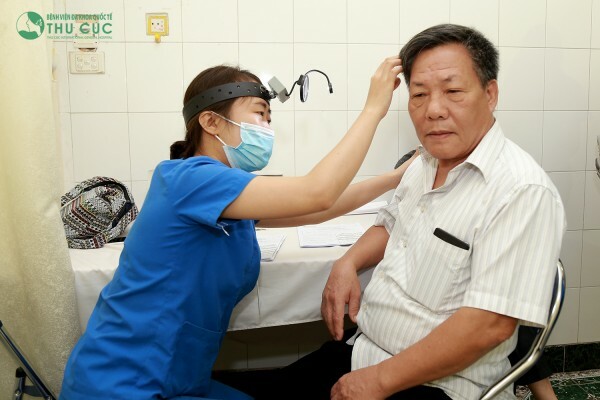 They have the feeling of being concerned, being cared for. 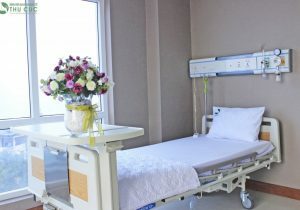 This can also compensate for their losses”. 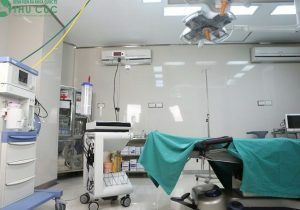 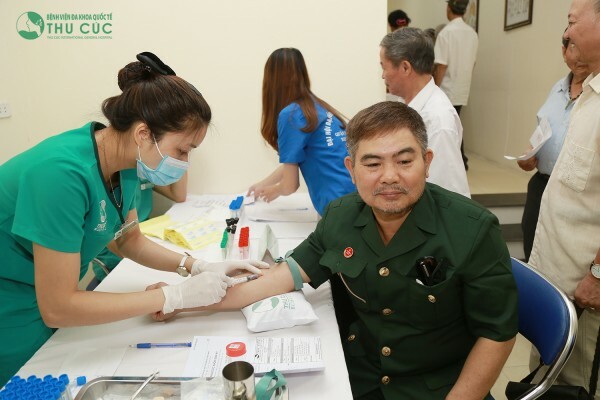 According to Mr. Nguyen Hoang – Head of the organizing committee of health check up programs by Thu Cuc Hospital: “These activities show our respect and gratitude to the revolution contributors and we do respect their families, too. 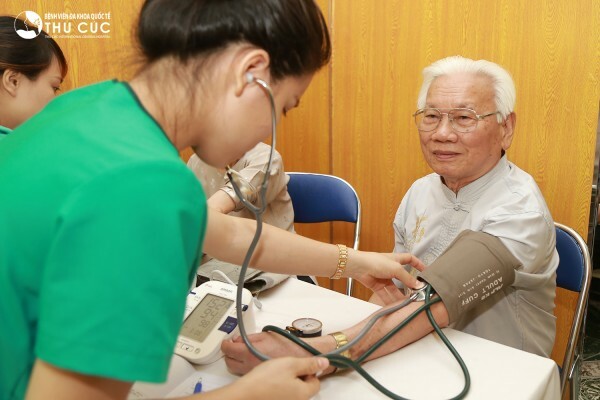 These activities also raise awareness on the importance of regular health screening which facilitates early detection and effective treatment of diseases, improving the community health. 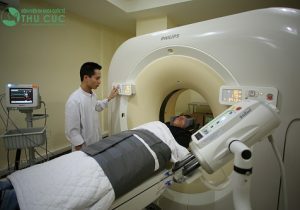 Being aware of this, Thu Cuc Hospital has been striving to organize such health check-ups for those special patients. 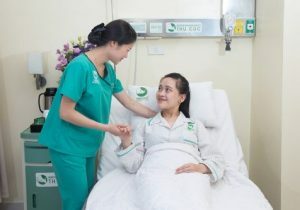 Thu Cuc International Hospital is one of the leading hospitals in social and community activities such as blood donation, free health screening for revolution contributors, poor people, families under preferential treatment policy, etc. 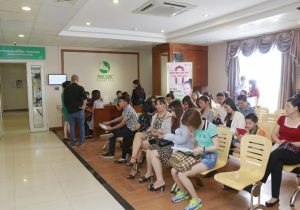 This is another significant activity among those aiming at “For community health”, held after the program of cancer screening for people nationwide.